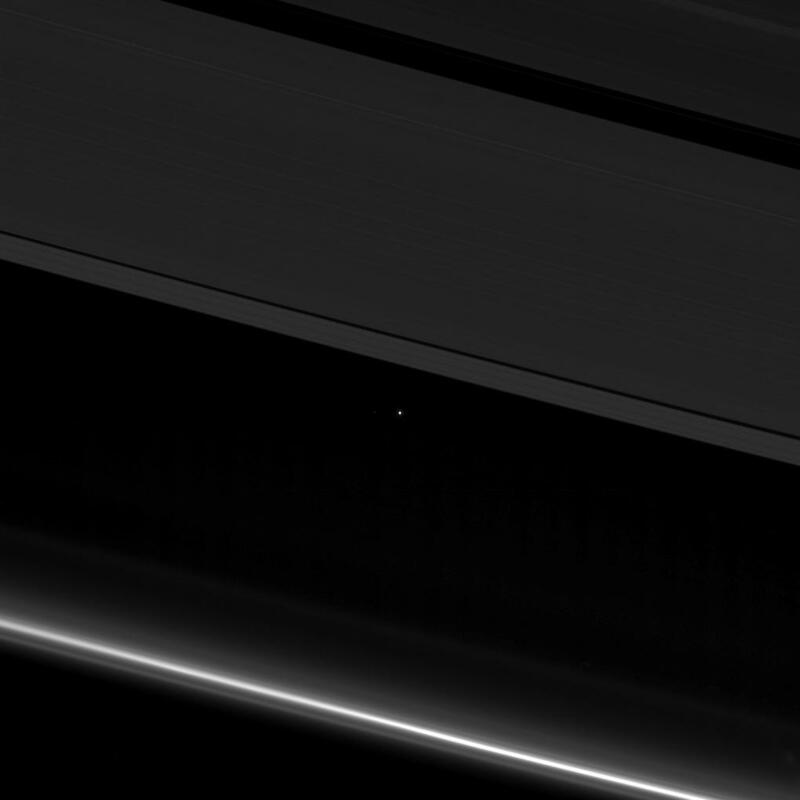 This view from NASA's Cassini spacecraft shows planet Earth as a point of light between the icy rings of Saturn. The spacecraft captured the view on April 12, 2017 at 10:41 p.m. PDT (1:41 a.m. EDT). Cassini was 870 million miles (1.4 billion kilometers) away from Earth when the image was taken. 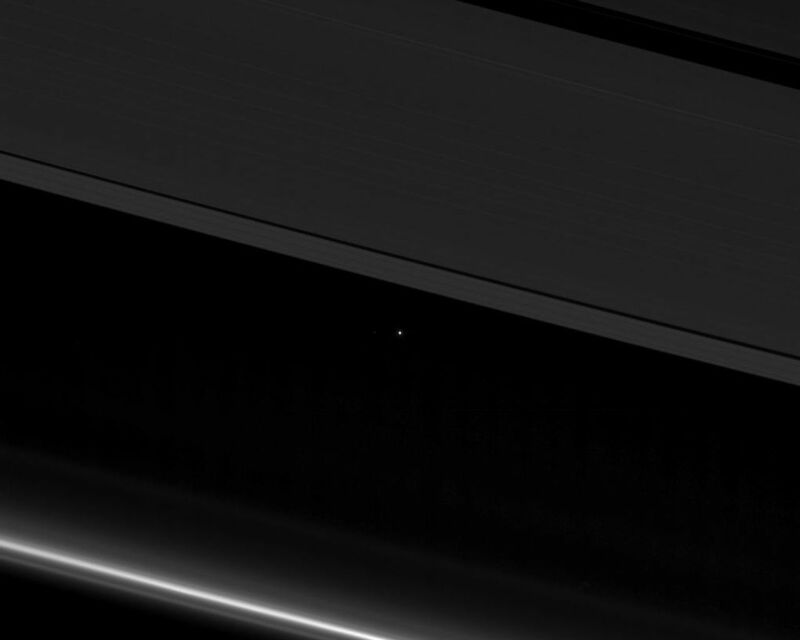 Although far too small to be visible in the image, the part of Earth facing toward Cassini at the time was the southern Atlantic Ocean. 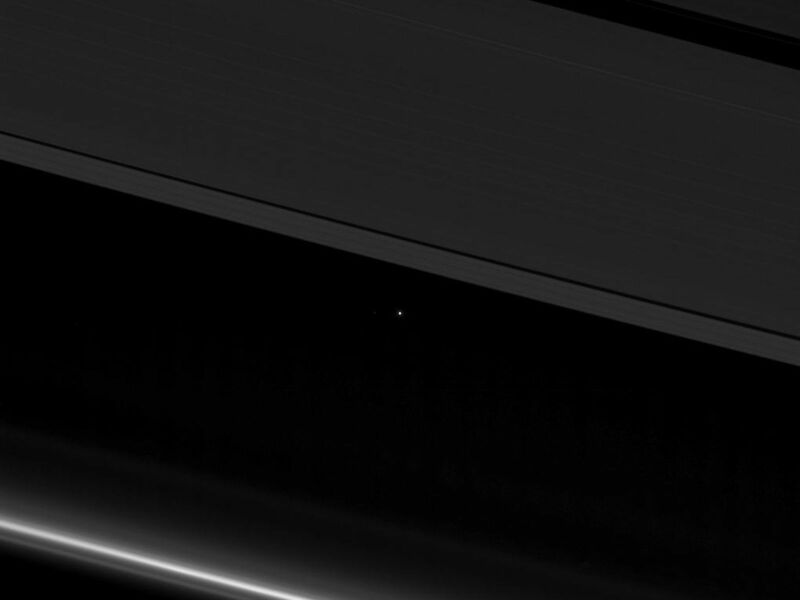 Earth's moon is also visible to the left of our planet in a cropped, zoomed-in version of the image (Figure 1). 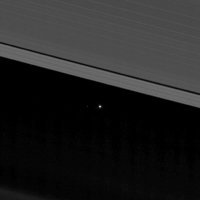 The rings visible here are the A ring (at top) with the Keeler and Encke gaps visible, and the F ring (at bottom). During this observation Cassini was looking toward the backlit rings, making a mosaic of multiple images, with the sun blocked by the disk of Saturn. 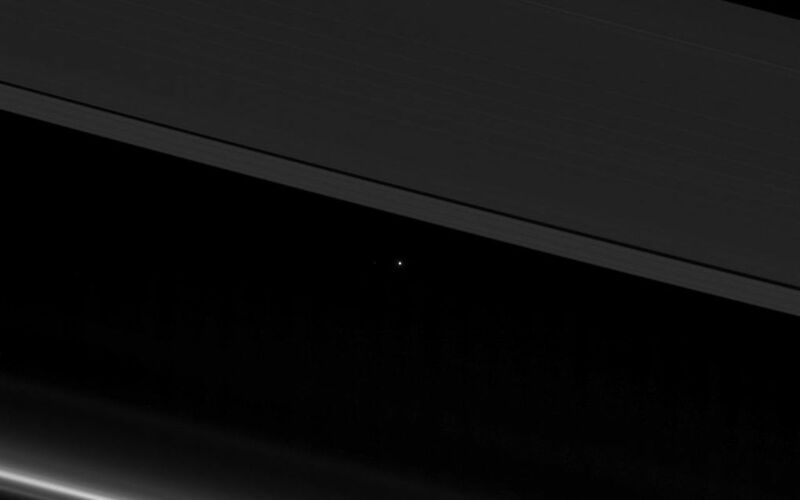 Seen from Saturn, Earth and the other inner solar system planets are all close to the sun, and are easily captured in such images, although these opportunities have been somewhat rare during the mission. 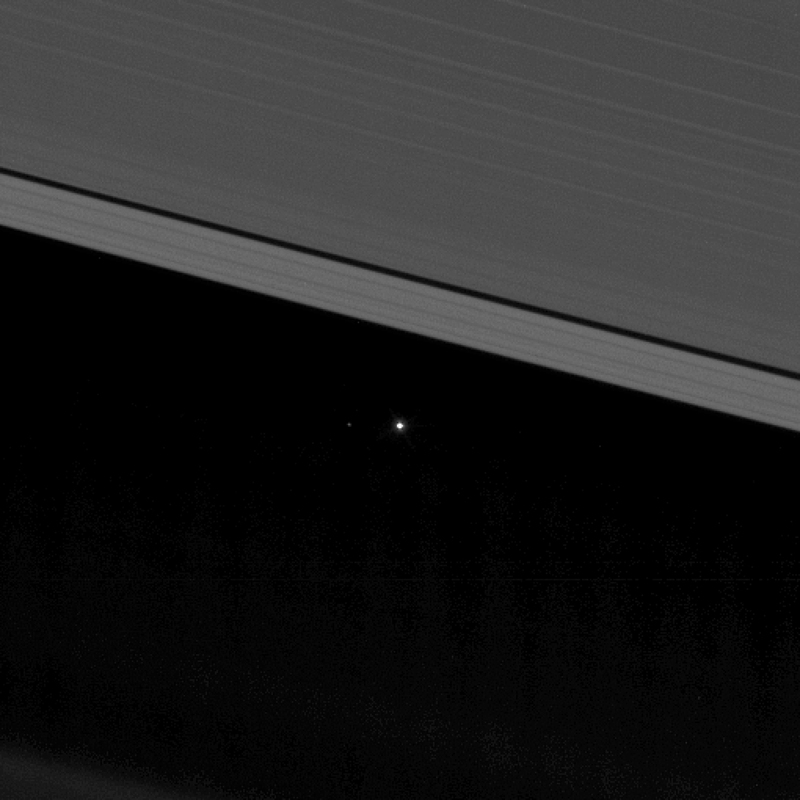 The F ring appears especially bright in this viewing geometry.